2002 will mark the fiftieth anniversary of the house of Chloe. In the half-century since it was founded, the prestigious French label has stayed true to the concept of romantic, feminine fashion. Today, the houses newest Creative Director, Phoebe Philo, will bring her unique vision to this label at a moment when Chloe is enjoying unprecedented success. After fifty years, Chloe continues to connect with a new generation of stylish women. The house of Chloe was founded in 1952 by two Parisians, Jacques Lenoir and Gaby Aghion. In a rapidly modernising post-war world, old traditions were giving way to new ideas, and their proposition was a radical one: they would make luxury pret--porter, delivering the kind of exceptional fashion off the rack that, until then, had only been available as couture. The romantic, fluid clothes that they created marked a bold departure from the stiff formality of womens fashion in the early fifties. Chic, sensual, and unmistakably French, Chloe immediately established itself as a house that celebrated a softer aesthetic. In 1963, the houses founders appointed Karl Lagerfeld as head designer. 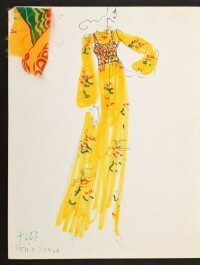 Under Lagerfelds direction, the Chloe label produced iconic fashion: the gauzy floral prints and fluid, floating shapes that he created defined the bohemian spirit of the seventies and made Chloe one of the most popular labels of the period. 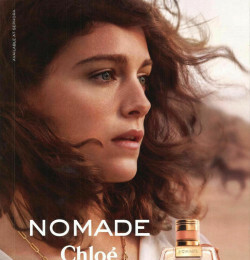 This era also saw the launch of the Chloe fragrance. Chloe, introduced in 1974, was an immediate commercial success, and continues to be one of the worlds best selling fragrances today. In 1985, the Swiss-based luxury group Richemont Group bought the house from Aghion and Lenoir, and setting the company up for expansion on the international market. In the late eighties, Martine Sitbon helmed the house, bringing her uniquely modern vision of womens fashion to the label. Lagerfeld returned to the house in 1992, and for the next five years he consistently reinvented the Chloe woman, dressing her in delicately torn neo-classical dresses, and bright hippie-inspired lace. In the last five years, the house has undergone a dramatic period of growth. In 1997, the then twenty-six year old Stella McCartney took over as Creative Director. In a period that saw a new generation of customers embracing luxury fashion, McCartneys youthful, spirited sensibility re-energized Chloe and made it highly desirable once again. Infusing Chloes classic soft, romantic spirit with the pulse of the street, McCartney effortlessly mixed delicately feminine pieces with structured tailoring, putting flirtatious camisoles under skinny, tailored suits and pairing revealing blouses with low-riding jeans and stiletto heels. This vision of the new Chloe woman hit a chord with young women around the world, and proved hugely successful. McCartney announced her departure from Chloï¿½ in early 2001, naming 27-year-old Phoebe Philo as her successor. The move left most in the fashion industry baffled, as Philo was a relative unknown. She had attended Central St. Martins a year behind McCartney and worked under her for only four years, but did not have the credentials typical of designers at any other major house. Planted firmly at the intersection of casual street chic and whimsical femininity, Philoï¿½s first collection forged an image that the company calls "luxurious, romantic and quinessentially French." Philo also created several "it bags" during her time at Chloï¿½, including the Paddington bag, which became a smash hit in 2004 and spawned many knockoffs. On January 6, 2006, Philo announced that she was stepping down as creative director for the fashion house in order to spend more time with her young daughter. 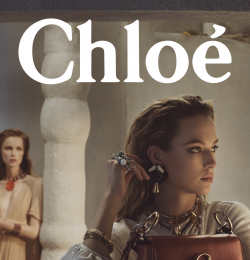 Having played a pivotal role in the reinvention of Chloe, the young British designer will continue to grow the brand, launching new categories of merchandise such as accessories and swimwear, and developing the secondary line, See by Chloe. Andersson has shown three collections for Chloe each exemplifying an edgier, abstract quirkiness to a line which has long been associated with romantic, girly Parisian notions. Andersson latest fall 2008 collection fulfilled elements of Chloe's charm like tea dresses and ruffled edges, however, the collection was met with mixed reviews. Paula Melim Andersson is an example of a designer with a tremendous amount of talent, however, not the right fit for Chloe despite a 9% increase in Chloe sales during his 2006-2007 year. Hannah MacGibbon who worked under Phoebe Philo for 5 years prior to Andersson has been neamed the new creative director. Alas, Chloe is back in a woman's hands. Style, modernity, and a strong sense of femininity have been the key elements of Chloï¿½ since its inception. Maintaining a quiet confidence among the Parisian ready-to-wear houses, Chloï¿½ has relyied on the abilities of various already-established designers to produce fresh and vibrant clothing which reflected and, in the high points of its history under Martine Sitbon, Karl Lagerfeld, and upstart Stella McCartney defined the zeitgeist of Chloï¿½ ï¿½lan.